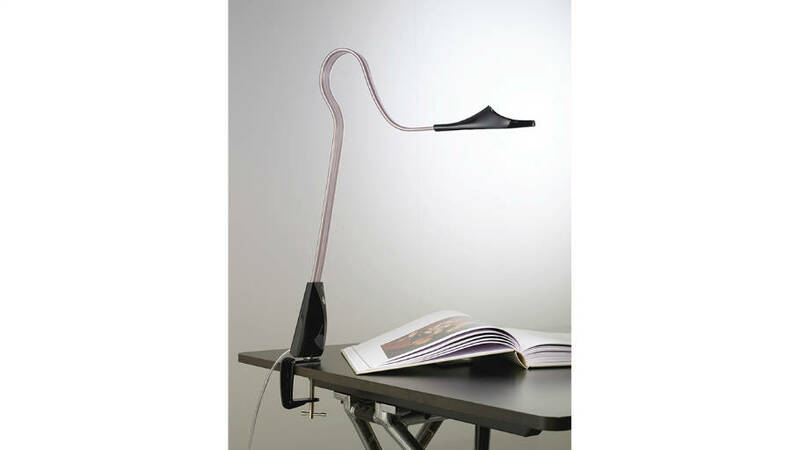 Table and wall lamp totally adjustable. Flexible body in transparent PVC, reflector and charger-case made of polycarbonate and varnished in glossy black or glossy white. 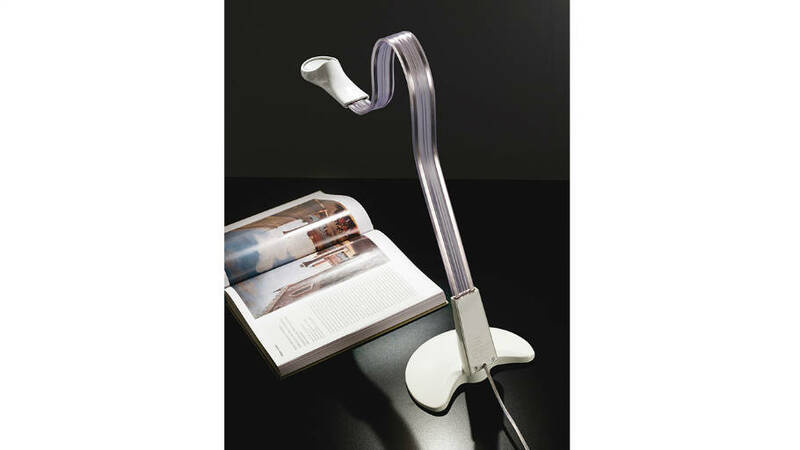 The base, the clamp and the wall mount are made of varnished metal. Transparent power cable of 200cm. Transformer with “touch” light intensity regulator. LED light source of 5W and 3500K.